Apple Corps Ltd. and EMI Music have announced that The Beatles original 1973 compilations, “1962-1966” (‘Red’) and “1967-1970” (‘Blue’) have been digitally remastered for worldwide CD release on October 18 (October 19 in the USA). Its the same team at Abbey Road Studios responsible for remastering The Beatles original studio albums remasters in stereo and mono last year who have carefully maintained the authenticity and integrity of the original analogue recordings of the “Red” and “Blue” albums. The result will be the highest fidelity versions the catalogue has seen since its original 1973 release. 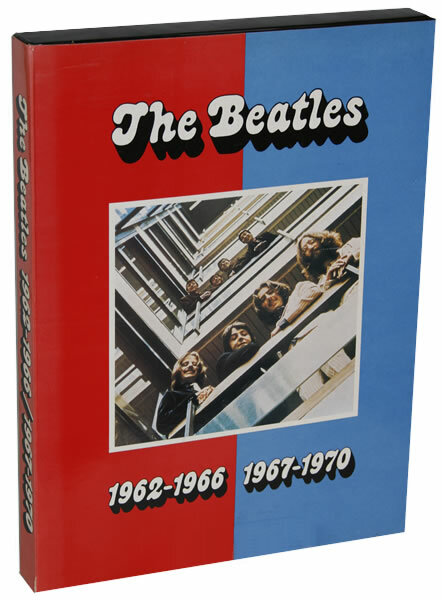 See the official Beatles news site (now with cover art) here, and the EMI Music press release here. 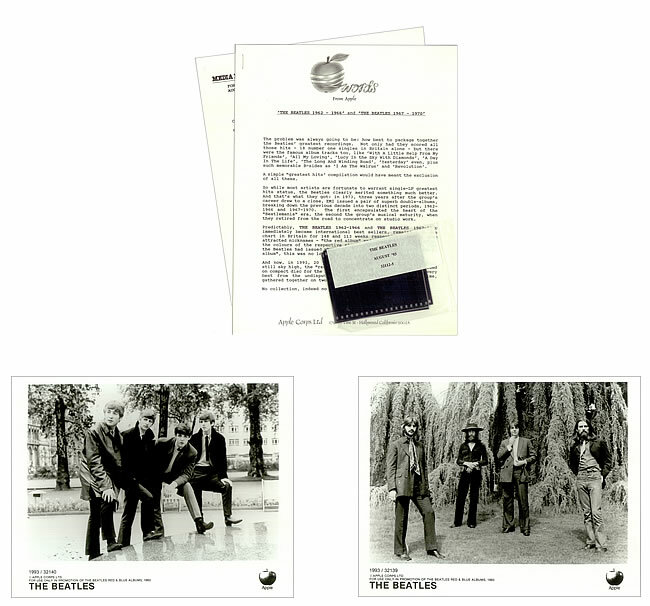 This entry was posted in Apple Records, Beatles, Beatles Collecting, Beatles Music, Beatles Related, George Harrison, John Lennon, Paul McCartney, Ringo Starr and tagged Apple Records, Beatles, Beatles Blue, Beatles Collecting, Beatles Red, Beatles Related, Beatles Stereo, Stereo Remasters by beatlesblogger. Bookmark the permalink. What a perfect opportunity to finally “provide” us the many promo films the Beatles did for these and other songs. They would have been a great companion piece. (They could have done it with “1” several years ago. Or still could if they remaster that ablum again.) And why not inclcude addditional songs on the Red and Blue albums? Many others qualify. Short of that, why have two double CDs? All the “Red” songs would fit on one CD as would those on the “Blue.” Leave it to EMI and Apple to screw it up. All we need are two CDs, not four. I agree – it seems to be a very short-changed release (yet again) by Apple/EMI. I recall they got the same criticism when these two sets first came out on CD too. So, short memory on that one! October is going to be a very expensive month for die-hard completist collectors. We’ll have to put out hands in pockets for the 70th birthdate Lennon “Gimme Some Truth” material will be released; the remastered Apple Records catalogue; and now this. Thats not to mention “Band on the Run”, the first of the Paul McCartney re-issues on Concord Records that is due later this month….. I have received the (blue album) Beatles 1967-1970 for christmas, there is one problem. Both CDs are printed correctly yet both contain Disc 1 recordings. Is this a one off or is the whole batch like this. Hi Derek, sorry for the delay in responding. I’ve been away from home and unable to check my set until now. Have just got it out and mine is fine. Not sure where yours was made. Mine has “Made in the EU” printed on the discs. This sounds like a limited print run error. Or even just a one-off. Hopefully someone else might have some more information. A frustrating problem and quite uncommon. Cheers.